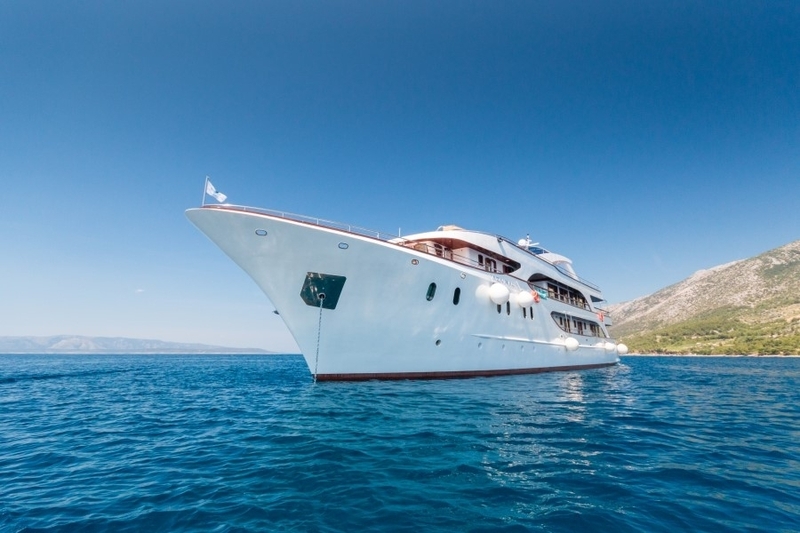 Croatia Small Ship Cruises [2019 / 2020] Book Today! With voyages from the Croatian capital to historic places like Split and Dubrovnik—full of fortresses, red-tiled architecture, sandy beaches, ruins, lavender fields and more—you will discover why Dalmatia is one of the hottest destinations in the Med. One of the beset ways to sample the finest parts of Croatia and the Dalmatian Islands is with a small ship Croatia cruise. The Croatian coastline and Adriatic Sea is no secret, but the 1770 kilometres (1100 miles) of coastline and over 1,200 islands are all gems with hidden secrets and treasures for you to discover on our Croatian coast cruises. 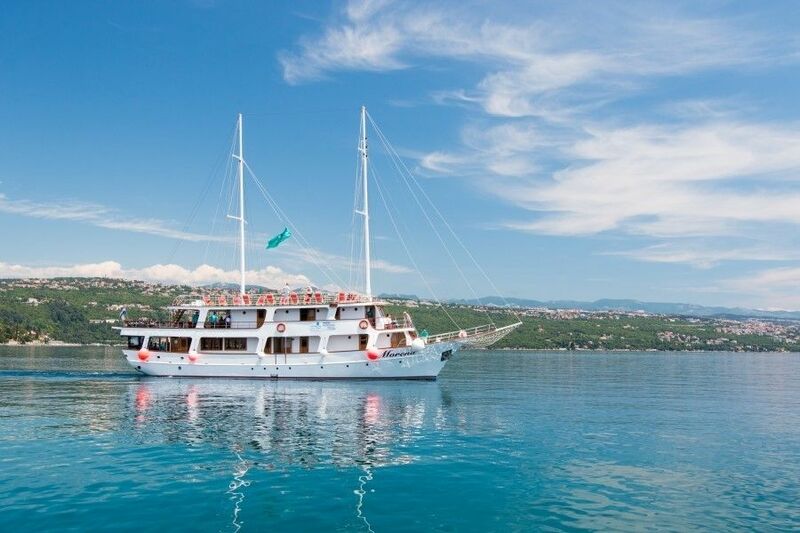 Come aboard one of our small ship Croatia cruises and find out why our Dalmatian coast cruises and its islands is the ideal vacation for everyone. All of our small ship cruises in Croatia will allow you to explore the best Croatia has to offer. So spend your time on one of our Croatia island hopping cruises and enquire today for the trip of a lifetime. Visit Croatian islands, Dubrovnik, Split, Istria and the capital city of Zagreb on this exciting 10-night holiday! Starting & finishing in Dubrovnik, this Adriatic cruise takes you to Split, Korčula, Hvar & more. Half board, airport transfers and walking tours included. Starting and finishing in Opatija, this premium cruise takes you to the most beautiful islands and cities of the Kvarner Bay. Discover the most beautiful islands and cities of beautiful Dalmatia on board the MS Agape Rose. Half board, airport transfers & walking tours included. Mediterranean climate and lifestyle. Layers of history to unearth. Fabulous beaches. Stunning sunsets. These are just some of the things you can enjoy on our small ship cruises around Dalmatian coast. Though Croatia can be quite busy over the summertime, taking a cruise and island hopping is one way to break free from the usual vacation rhythms and dive straight into a marvellous small ship cruise in Croatia. You can enjoy the open seas, escape the tourism, and interact with other international passengers aboard the ship. Aside from enjoying the cruise itself. the destinations where the ships dock are also top-notch. Describing the beauty of every single island and the cities is impossible, because each stop has its own charm and personality although our Dubrovnik Croatia cruises are especially popular. Throughout the years, Croatia has been influenced by Romans, the Byzantine Empire, Greek colonists, Venetian merchants and tradesmen, Italian and Ottoman Empire sailors, Austro-Hungarian engineers, and French designers. The advantage of all these stops during cruises is that you can make your own itinerary for each island. Do you want to wander amongst the lavender fields in Hvar? Savour the olives of Split? Buy fresh cheese on Pag? Lounge on a beach in Mljet? Seek out the plethora of UNESCO World Heritage Sites around Split, Korcula, and Dubrovnik? 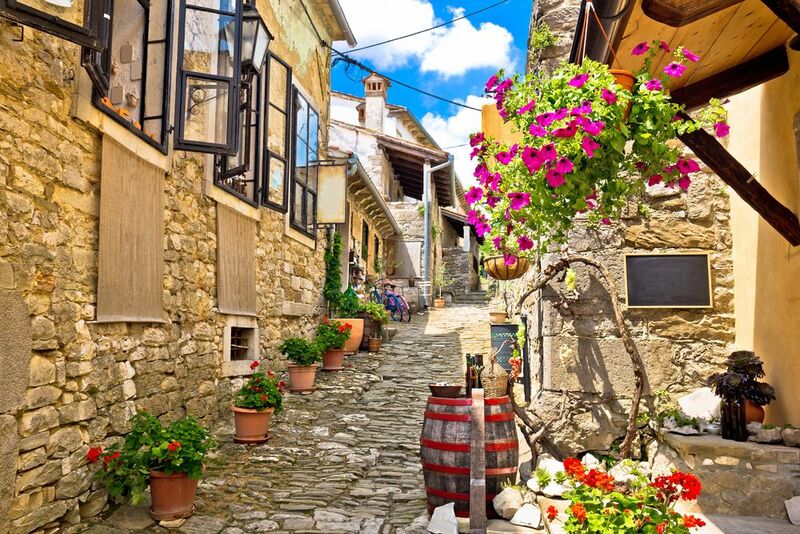 You can do whatever your heart desires on our Croatia cruise tours. Optionally, you can stay aboard the cruise ship and enjoy all the fantastic things to do. Every time you step off at a new harbour, you are making yet another discovery. Taking in something entirely new and incredible. You’re going to see a lot of things you haven’t seen before, and there will always be a tasteful mix of old world history mixed with modernised facilities and amenities. Our luxury small ship cruises show you the characteristics that give each place its uniqueness. 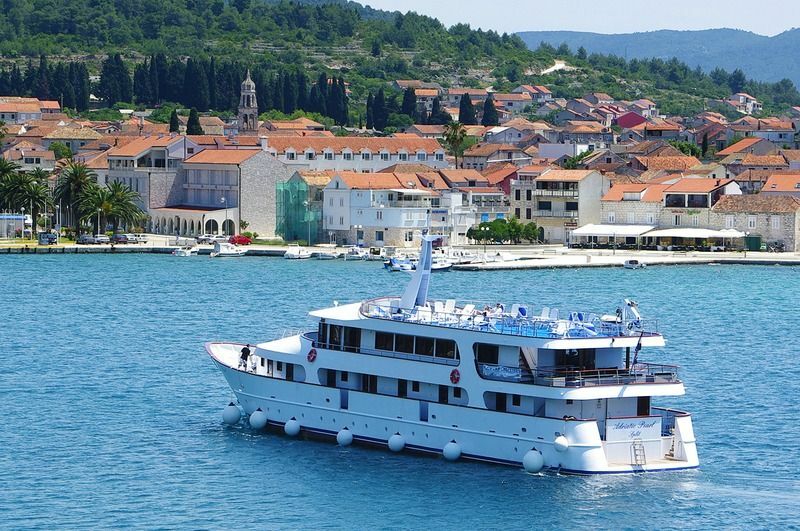 There are currently two Croatia small ship cruises that we offer for you to enjoy. Our small ship cruises around Croatia provide passengers with comfortable accommodations, meals, and access to the many famous islands of the Adriatic Sea. Cruise to Dubrovnik Croatia and then spend the next week cruising the Adriatic Sea, engaging in walking tours around Dubrovnik, Korčula, Split, Hvar, and a visit to the Pucisca Stone masonry School on our Adriatic cruise. The second tour package, The Islands of Dalmatia, is another 8 day, 7 night cruise. 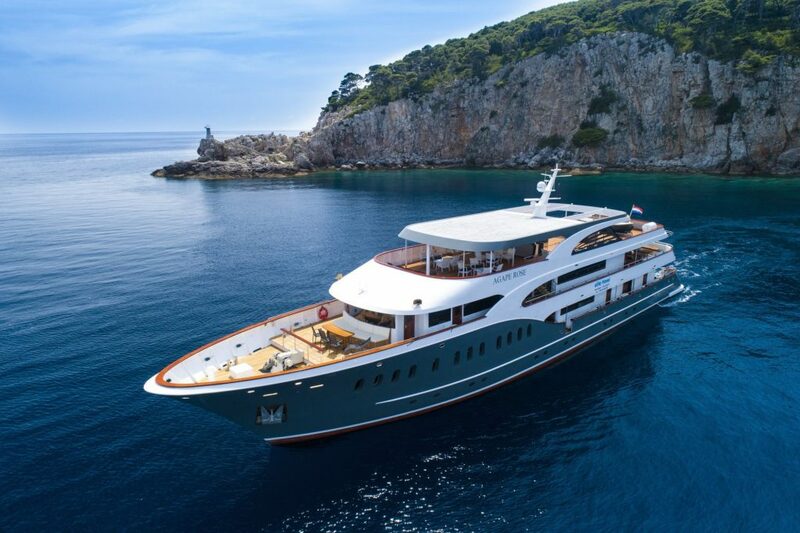 Board the MS Agape Rose and enjoy a lovely jaunt around the Adriatic while enjoying excursions on Skradin and Trogir as well as walking tours around Dubrovnik, Šibenik, Korčula, Hvar, Split, and a visit to the Pucisca Stonemasonry School. All Croatia small cruise ships have cosy cabins, complimentary snacks and meals throughout the day, cleaning staff, wifi on board, and friendly crew members. The cabins on the MS Adriatic Pearl and MS Agape Rose are air-conditioned, have bathrooms, television, and windows for you to enjoy the view of the Adriatic Sea wherever you are on the ships. Be sure to check the upcoming cruise dates and sample itineraries of the detail pages so you can decide which cruise is best for you. Either way, we are sure you will enjoy you time aboard. With all these experiences awaiting you around the Adriatic Sea, alongside the multitude of opportunities you have to immerse yourself in the relaxed Mediterranean lifestyle, there’s no reason not to go on a Tour Croatia cruise around the Dalmatian Islands. You can be pampered aboard a small but luxury cruise ship, wine and dine on the ship or at one of the many ports, and journey through a chain of islands that with lush natural wonders, incredible people, and an intriguing history while you cruise the Croatia islands. No matter what you love, we’re sure you’re going to love Croatia. It’s time to say, “bon voyage” and book your Tour Croatia small ship cruise today!